Looking to attract more players? Our Squash 101 programme is both fun and social, and great for getting more people on court. This three-hour workshop is aimed at university students, public facility staff or club members wishing to deliver Squash 101, box leagues, social play, competitions and tournaments. What's more, we've all the resources you need to deliver it at your club for just £25 per person (minimum 6 per course)! 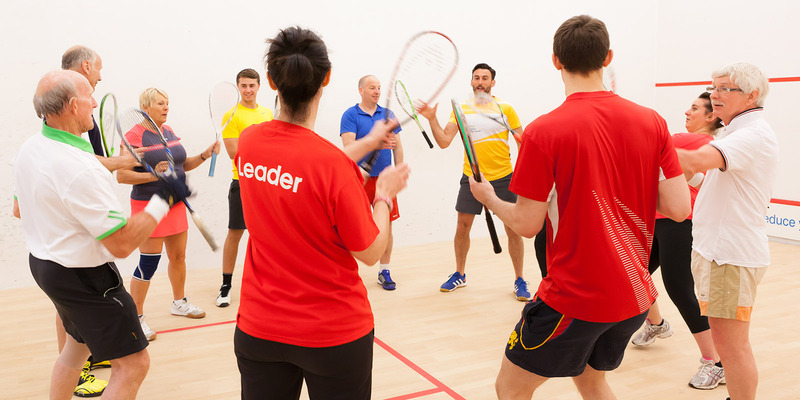 Use this online form to express your interest in becoming a Squash 101 leader. tips for keeping club players playing the game. What's more, we'll give you an England Squash certificate once you completed the workshop and delivered your first Squash 101 programme. A desire to engage new participants in squash. The workshop costs £25 per person. Within this cost you'll also receive Squash 101 resources, and a web app packed with training drills and advice. Contact us to enquire about running a course at your club or facility.